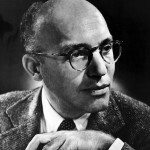 One of the most versatile and influential composers of the musical theatre in the twentieth century, Kurt Weill (b. Dessau, Germany, March 2, 1900; d. New York, April 3, 1950), had two important careers, one in Germany in the 1920s, the other from his emigration to the United States in 1935 until his death. The style of his second period is sharply distinct from that of the first. Die Dreigroschenoper (The Threepenny Opera 1928) is by far his best known stage piece; its famous “Mack the Knife” (“Die Moritat von Mackie Messer”) has been recorded countless times by an unbelievably wide range of artists (Bobby Darin, Louis Armstrong, Lotte Lenya). Weill also composed a number of “serious” works for the concert hall. The third of four children born to a cantor in the Jewish quarter of Dessau, Weill began piano lessons at the age of twelve and soon began to write songs, mostly to the verse of serious poets. He studied piano, composition, theory, and conducting from 1915 with Albert Bing, Kapellmeister at Dessau’s “Court Theatre,” and occasionally performed as Bing’s stand-in. At eighteen he went to Berlin to the Hochschule für Musik, and wrote his first string quartet under the tutelage of Engelbert Humperdinck (composer of Hansel and Gretel). That eminent Wagnerian apparently had little time for him, and when Weill learned that his family had fallen on hard times, he returned to Dessau. He joined the staff of the Friedrich-Theater as a rehearsal pianist, and in 1919 obtained a post at the Stadttheater in Lüdenscheid, where he directed light opera for a few months. He returned to Berlin in late 1920 to study composition with Ferruccio Busoni, eking out a living playing the piano in a beer-hall. Most of Kurt Weill’s compositions of this period were those of a young man with high aspirations: a symphony, a choral fantasy, a psalm. The first of them to find its way to the public stage was a children’s pantomime Die Zaubernacht (The Magic Night), premiered in late 1922. Soon thereafter, the Berlin Philharmonic performed his Divertimento for Orchestra and the Hindemith-Amar Quartet played his String Quartet Op. 8. In late 1923 Weill concluded his studies with Busoni and was well on his way to being seen as one of the leading composers of his generation. In 1926, Weill’s first opera, Der Protagonist, in one act, had a sensational debut in Dresden. Its librettist was Georg Kaiser, the most prominent playwright during the years of the Weimar Republic. Kaiser’s expressionist style avoided characterization and psychology, relying on archetypes to focus on society’s ills; his influence was strong upon the dramatists Iwan Goll and Bertolt Brecht, who would also work closely with Weill. Kaiser collaborated on two more stage works, the comic opera Der Zar lässt sich photographieren (The Czar Has His Picture Taken 1928) and a play with music, Der Silbersee (The Silver Lake 1933). Through Kaiser, Weill met actress and singer Lotte Lenya in the summer of 1924. They would be married in 1926, divorced in 1933, and married again in the United States in 1937. Theirs was an “open” marriage that lasted until Weill’s death in 1950. 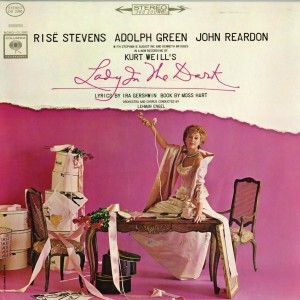 Lenya subsequently established the Kurt Weill Foundation for the management and promotion of his legacy. Weill first sought a collaboration with Bertolt Brecht in 1927, in the creation of a cabaret-scaled “Songspiel,” Mahagonny. Its scandalous success encouraged them to expand the work to opera length, and as Der Aufstieg und Fall der Stadt Mahagonny (The Rise and Fall of the City of Mahagonny), it premiered in Leipzig in March 1930. In the three years between, Brecht and Weill worked together on numerous theatrical projects, among them the wildly popular Threepenny Opera and Happy End (1929). All this time, workaholic Weill was writing critical reviews by the hundreds for the German Radio’s program guide. The last collaboration with Brecht was the sung ballet Die sieben Todsünden (The Seven Deadly Sins 1933), produced in Paris (and starring Lotte Lenya) after both Brecht and Weill had fled the Nazis’ rise to power. In September 1935 Weill and Lenya (now divorced) traveled to New York. Max Reinhardt was producing an epic stage-piece by Franz Werfel, Der Weg der Verheissung (The Promised [later “Eternal“] Road 1937), for which Weill had written an ambitious score. Though this project was delayed, the Group Theatre was putting together a musical play on Hasek’s The Good Soldier Schweik, and finding Weill close at hand, engaged him to write Johnny Johnson. 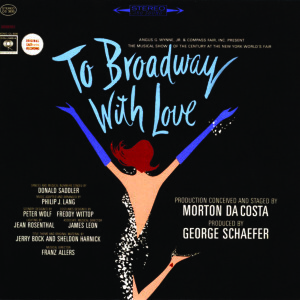 Thus for a time in 1937 two successful Weill works were running on Broadway simultaneously. Weill pursued the foremost playwrights of the day as his collaborators: Maxwell Anderson (Knickerbocker Holiday 1938, with Weill’s first standard hit “September Song”; Lost in the Stars 1949), Moss Hart (Lady in the Dark 1940, with lyrics by Ira Gershwin), and S.J. Perelman (One Touch of Venus 1943, with another timeless hit, “Speak Low,” lyrics by Ogden Nash). 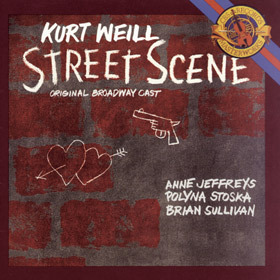 In 1947 the Playwrights Producing Company, to which he had been elected as its only musician, brought Weill’s opera Street Scene, with a libretto based on Elmer Rice’s Pulitzer Prize-winning play and lyrics by the Harlem poet Langston Hughes, to Broadway. 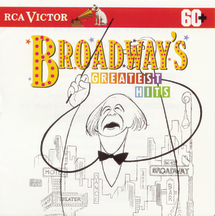 The temperament of Street Scene (which won the first Tony Award® for Best Original Score) is a far cry from that of Mahagonny; one would hardly guess it was by the same composer. Weill had become a US citizen in 1943, and avoided using the German language again, except to write to his parents who had escaped to Israel. He had also traded the brittle, dissonant, confrontational style of his Weimar compositions for a more lyrical, pacific approach when he turned to the American theatre – indeed Weill believed his German works had been destroyed. Shortly after his fiftieth birthday, still working overtime, Weill died of a heart attack. His death immediately stimulated a resurgence of interest in his earlier work: Der Aufstieg und Fall der Stadt Mahagonny is now firmly entrenched in the operatic repertory; The Threepenny Opera continues to be performed and known by heart all over the world.